Plot: A group of scientific geniuses get caught in one of their own experiments causing them to have super powers. 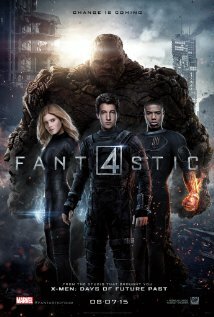 This movie is more aptly titled MEDIOCRE FOUR or LAME FOUR or DON'T GO SEE IT FOUR. The acting is sub-par, the dialogue is bad, and the effects are worse. Plus, this is a comic book action flick with only about 20 minutes of action and even that's not very good action. If you like origin stories this one give you all the origin you could ever want. We don't even see any F4 powers until about two thirds of the way through the film. And before that we have to endure a lot of sciency and mathy stuff. Ugh. The only reason to see this movie in theaters is to be able to see the DEADPOOL trailer before it. Other than that, skip it. I don't get it. 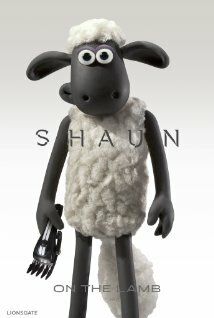 I've tried to like SHAUN, I've tried to like WALLACE AND GROMMIT, I even almost liked CHICKEN RUN, but I just don't get it. Sure, this movie is mildly entertaining, but the reality is that I sat in a theater filled with kids between five and ten years old and there wasn't a single belly laugh among them. There were a lot of snickers and pleasant hahas, but that was the extent of the laughter. I do find the animation to be quite clever and interesting to watch, but the slow-moving plot and minimal, in this case, non-existent dialogue bores me. The plot is compelling enough to keep the kids engaged, and the movie is mercifully short enough so that parents should be able to endure it for their childrens' sake. That said, I don't think this movie is worthy of spending upwards of $50 or $60 to see it on the big screen. 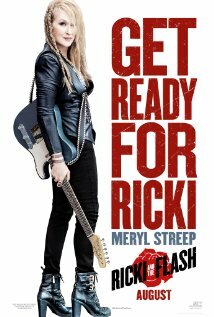 Plot: An aging rocker mom tries to reconnect with her adult children. I went to see this movie at one of our local theaters. Unfortunately, before I got to see it the theater was evacuated for what we eventually found out was a faulty sprinkler system. Instead of waiting around an hour for them to open up again I headed across town to see it at another theater. In order to be more efficient with my time when I am seeing three films in one day I will sometimes catch the last half of a movie first then watch the first half. That's what I decided to do for this film. So I sat down in the theater somewhere in the middle of the movie and saw about 25 minutes of it before some jerk pulled the fire alarm at that theater forcing us to evacuate there as well. Apparently I am not meant to see this movie. What I will say is: 1. I will see this movie in it's entirety and give a full and proper review. 2. The part that I did see was slow, boring and cringe-worthy so I hope the rest of the film makes up for that 25 minutes wasted.